After years of experimentation, Artificial Intelligence (AI) is starting to deliver significant real-life benefits to early-adopting companies. A recent report by McKinsey Global Institute points to the fact that companies which are new to the space can learn a great deal from the early adopters, who have invested billions into developing AI and are now beginning to reap a range of benefits. For instance, retailers across the world are increasingly relying on AI-powered robots in order to run their warehouses. Similarly, those in the energy and utilities space are using AI to forecast electricity demand. Automakers are harnessing the technology in self-driving cars. The technology is witnessing a gamut of use cases as well as interventions. 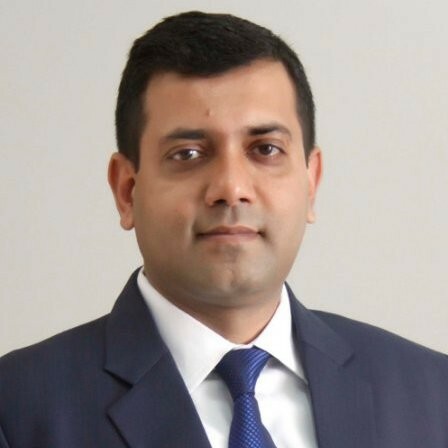 It is in this context that Muqbil Ahmar, Executive Editor, Grey Head Media spoke with Anjani Kumar, Global Chief Digital Officer, Collabera. “Artificial Intelligence now has taken the space where no other ordinary analytics can deliver results. There are a lot of use cases of AI which help industries take the right decisions and improve business. You can write an AI on user behavioral analytics to identify patterns of user behavior. The scope of AI is unlimited and has been expanding exponentially. It will develop further. We are trying to add a new dimension to work force management and HR domain using cutting-edge technology and innovative Startup Eco-system,” says Anjani. According to a report released by Markets and Markets, a research company, called “Artificial Intelligence Market by Technology,” it is expected that the AI market would be worth USD 16.06 billion by 2022, growing at an unbelievable CAGR of 62.9% from 2016 to 2022. When asked how his own industry and company is gearing up to the new technology, Anjani spoke at length about how the new technology is being leveraged by Collabera. “Some years back, there was not much technology out there. It was basically manpower, relationships, etc. However, we wanted to do a digital play. We increased the intervention of digital transformation technologies manifold. Today, if you go to the Collabera website there is a chatbot. As many as 40 per cent of the conversations are handled by the chatbots. The chatbot easily addresses questions from candidates or resolves queries. Our chatbot has been created on the IBM Watson platform,” adds Anjani. In fact, digital transformation technologies are gaining traction across industries. With rapid increase in the number crunching and data-gathering capabilities of computers, AI applications and tools can only expand in the future. Internationally, AI-driven systems are paving the way for a more collaborative, explorative and focused understanding of business data. Anjani pointed out that the trend is fast catching up in the staffing and recruitment industry as well and how they are leveraging the technology. “The other aspect is parsing the resumes using the Natural Language Processing (NLP) technology. Today, resumes come in thousands of formats, everybody has a different resume. However, for us, it doesn’t matter. Using the NLP, we are able to parse the resumes within seconds. It is then segregated and put up in the database on the basis of parameters such as the number of years of work experience, industry type, kind and relevance of work experience, etc. We classify them using machine learning. Moreover, we are also updating our existing applications. Our NLP has been extended to a few other languages, including English and can be applied to most of the other global languages. We are also working on several other disruptive technologies and their applications in the recruitment industry but I won’t be able to divulge the details at this stage,” avers Anjani Kumar. Collabera is a global staffing company with more than 15,000+ professionals globally. They offer Global 2000 companies comprehensive IT and professional staffing and services. Customer Experience (CX): Will Artificial Intelligence Prevail Over Human Touch?